Life is filled with decisions — big and small. We're always having to choose between this, that, and the other. And, that's okay, life's not about getting everything you want all the time. However, every once in while it would be nice. How about now? We've gathered together a collection of DiamondAura® classic stud earrings and given them a price that makes it easy to say yes. 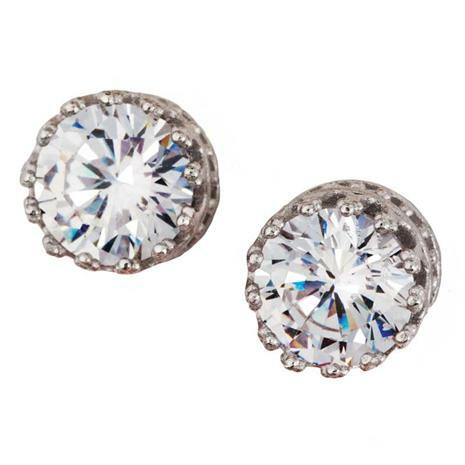 Treat yourself to the DiamondAura Sterling Silver Studs! This pair of studs contains 2 ¾ carats of lab-created DiamondAura — a stone that dazzles just like natural diamonds but without the outrageous cost. In fact, DiamondAura retains every jeweler's specification: color, clarity, cut, and carat weight. At this exclusive price, really the only decision you have to make is how much you want to save!